Today we continue our multi-part Pro-Tip series on stone cutting. In this video, Richard Ward shares more tips and techniques. Keep checking back for the final installment in this Stone Cutting Pro-Tip Series. If you'd like to see the series as well as many more interesting waterjet videos, visit WARDJet's Video Library WARDJet is committed to not only designing and building reliable and innovative waterjet systems, we also have a drive to make our customers as successful as possible in their cutting and programming of parts. 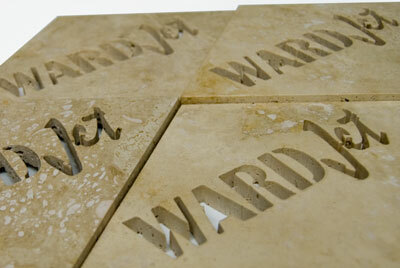 These WARDJet Pro-Tips are designed to give a little insight into the best practices for waterjet cutting. We hope they make your waterjet cutting faster and more profitable. If there is something you'd like to see covered in this series, don't hesitate to contact us.